Air Leakage occurs when outside air enters and conditioned air leaves your house uncontrollably through cracks and openings. This is referred to as Infiltration and Exhalation. It is unwise to rely on air leakage for ventilation. During cold or windy weather, too much air may enter the house. When it’s warm and less windy, not enough air may enter, which results in poor indoor air quality. Air leakage also contributes to moisture problems that can affect occupant’s health and the structure’s durability. AIR SEALING CORRECTLY IS IMPORTANT. Insulation is not an Air Barrier – Insulation provides a thermal barrier not an air barrier. Air can still go in, around and through insulation. You need to “Seal it Tight and Ventilate it Right” – Homes need the proper amount of ventilation for the occupants health and the durability of the home. 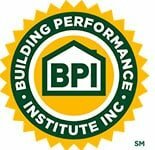 EnergySmith Home Performance employs BPI (Building Performance Institute) certified Building Analysts and Envelope Specialists. We know Building Science and how to air seal the right way to provide you with a safe, healthy, durable, energy efficient and money saving home or business. Air Sealing Contractors, performs a service called Attic Sealing. This is the first step In Making Your Home More Comfortable And Energy Efficient. Air Entering The Home Through Holes, Cracks, and other deficiencies bring unwanted outside air into the conditioned space of the home. This process changes the heated or cooled air that you paid to create, costing you money and comfort! Spot sealing is an option for those who are looking for the best energy savings possible but are on a tight budget for the energy savings upgrade. At EnergySmith we achieve air sealing in most attics with a fire proof foam being applied directly to lighting junction boxes, wiring penetrations, wall top plate cracks, and plumbing penetrations separating the attic floor and the conditioned space of the home. The process of spot sealing attic penetrations will allow the home or business to retain the comfort level desired, while saving money. By holding in the Conditioned air longer, you will naturally lower energy costs and stop that drafty feeling associated with a leaky building envelope. EnergySmith Home Performance uses fireproof can foam (low expansion and quick cure) to seal these holes in the envelope, which is the most cost, effective way of addressing energy loss in the Pressure Boundary of the home or business. The pressure boundary of the home is associated with the cubic feet of air in the structure and the changes that take place on a consistent bases. 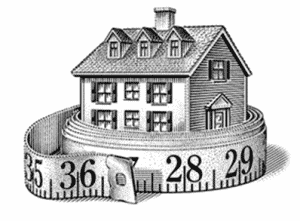 When it comes to Air Sealing does your home measure up? If not we can help. One of the best things you can do to save energy and money is to air seal. The saying sealing it tight and ventilate it right wasn’t coined by us, but any quality insulation and weatherization company will quote it over and over. The common saying by insulation certified professionals, tells the home owner, never insulate without air sealing and never air seal without insulating. This is because the process of air sealing will disturb your existing insulation which could create voids in the thermal envelope. Adding additional insulation covers any potential gaps in the thermal envelope, making for a complete upgrade to the living environment. Call us and we can explain about the processes necessary to weatherize your home and make it more cost effective and more comfortable.